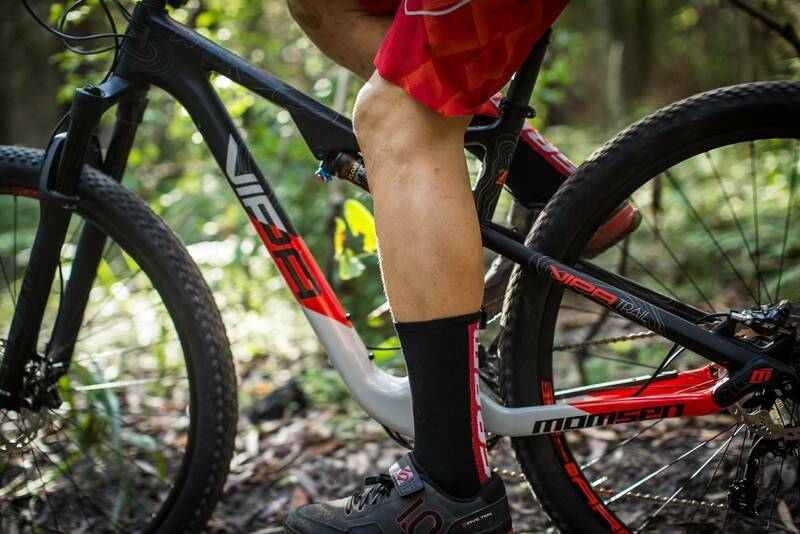 Straight out of Africa, the Momsen Vipa Trail promises to let loose on the trail and between the tape. 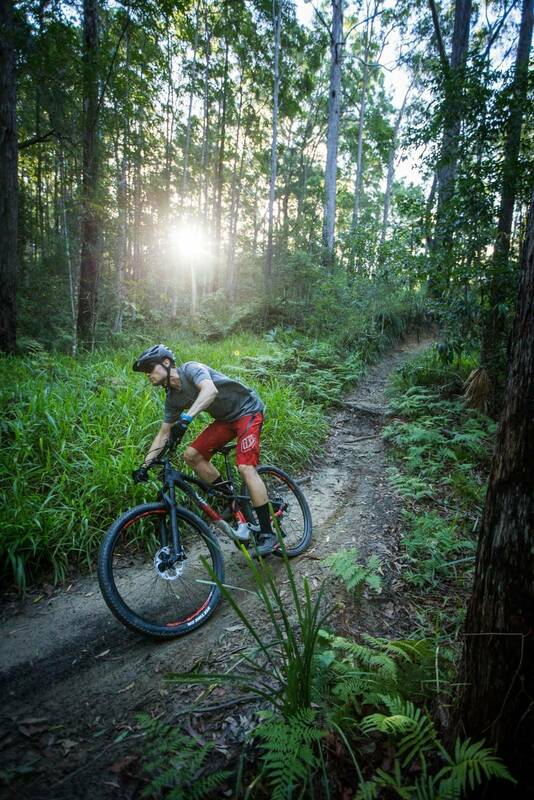 The Vipa Trail is fresh to the Momsen range, a bigger brother to the XC/marathon thoroughbred Vipa Race which has been spotted at events like Cape to Cape in West Oz and the national cross-country series. On first glance it looks like a carbon copy of the tried and true XC model but on closer inspection you see that it is a totally fresh chassis complete with slacker and lower geometry for higher stability at speed. At the heart of the bike is the full carbon frame with all the regular trimmings like Boost spacing and internal cable routing. The paint job is unique and a little retro with the decals and South African contour map on the top tube. The grey, black and red colour scheme works well. 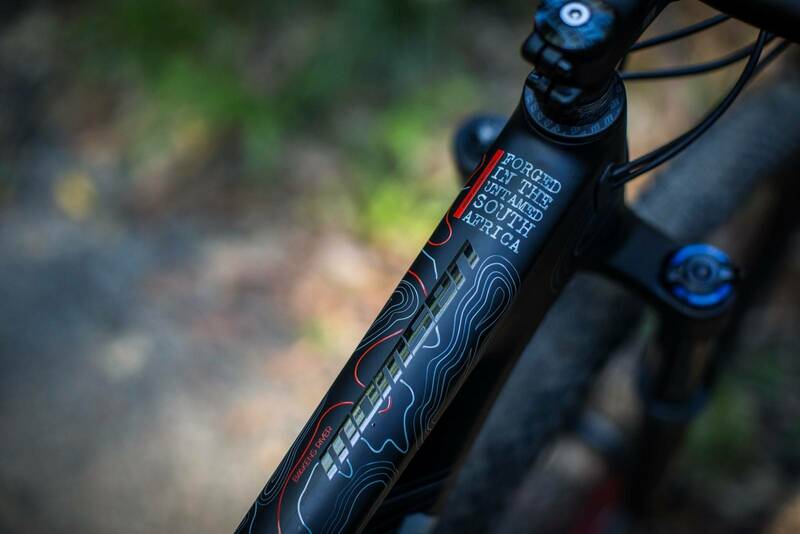 The South African contour map graphics on the top tube are definitely a talking point and bleed of the proud SA heritage. 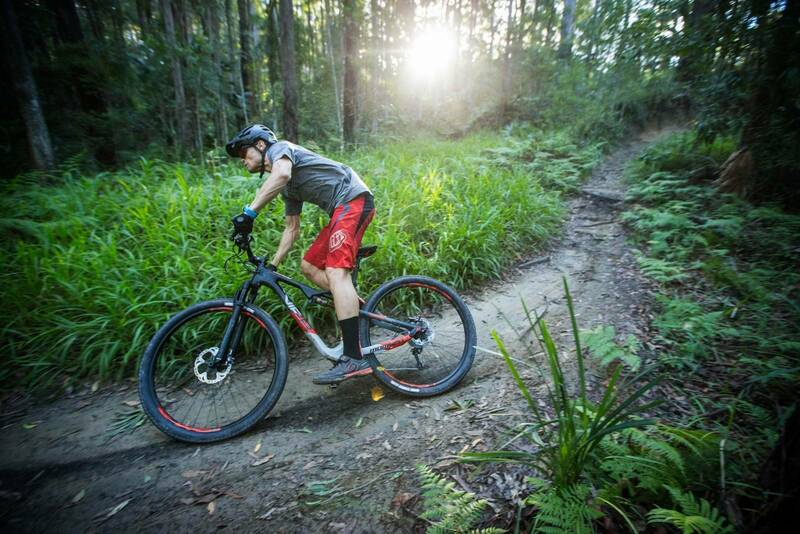 Put up against other trail bikes in this price bracket the Vipa Trail fairs quite well. This is only one of a handful of bikes in this price bracket that offers a full carbon frame, with most opting for aluminium swingarms to keep the costs down. 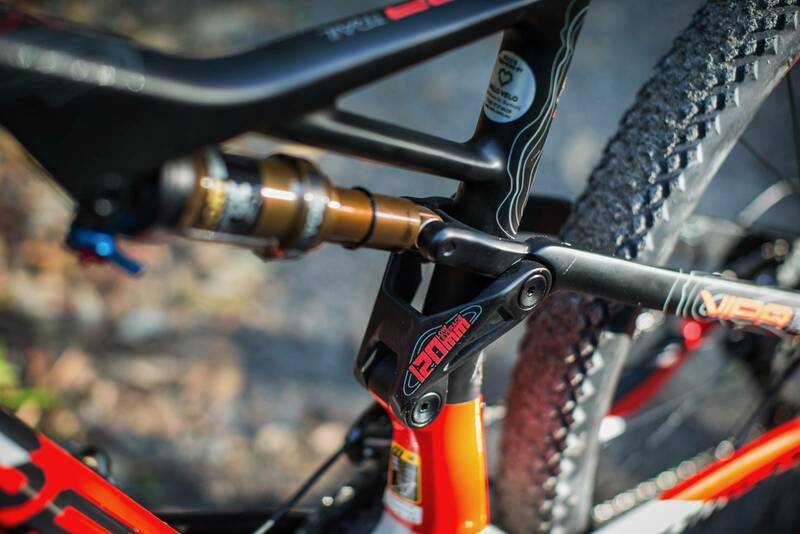 Suspension is handled up front with the revamped RockShox Revelation RC which is sporting larger 35mm stanchions and upgraded dampener for this season. It's cool to see this technology trickle down the added stiffness and improved small bump sensitivity coming at on a marginal weight gain. Out the back the Fox Float EVOL Factory with lockout and Kashima coating rounds out the suspension package giving a balanced 120mm for each end. A full Shimano XT drivetrain and brakes rounds out a solid parts kit. The 2x setup on first glance may seem like an odd choice in spec but the benefits of the extra range are quite appealling for those looking at this for trail and event duties. If this isn’t your cup of tea the cost of a 1x conversion is cheap as chips. 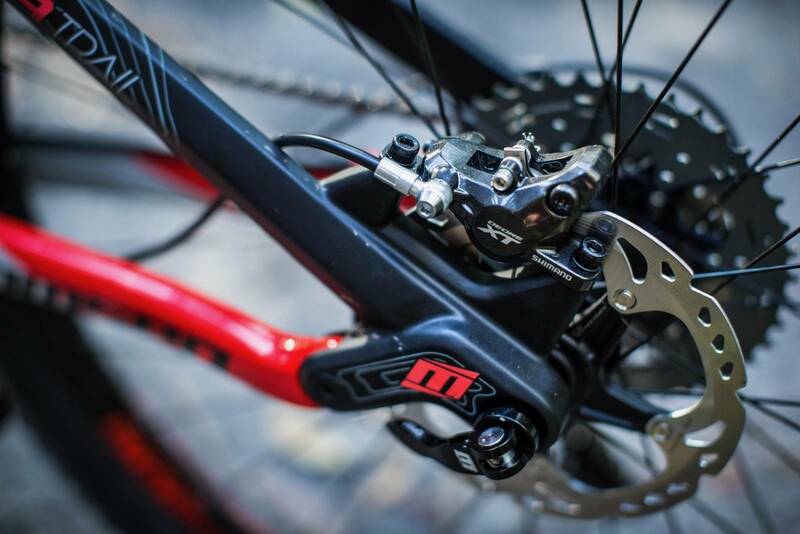 The XT brakes are always a bonus, they are solid performers and come supplied with finned pads and 180mm rotor up front for consistent power on the longer descents. 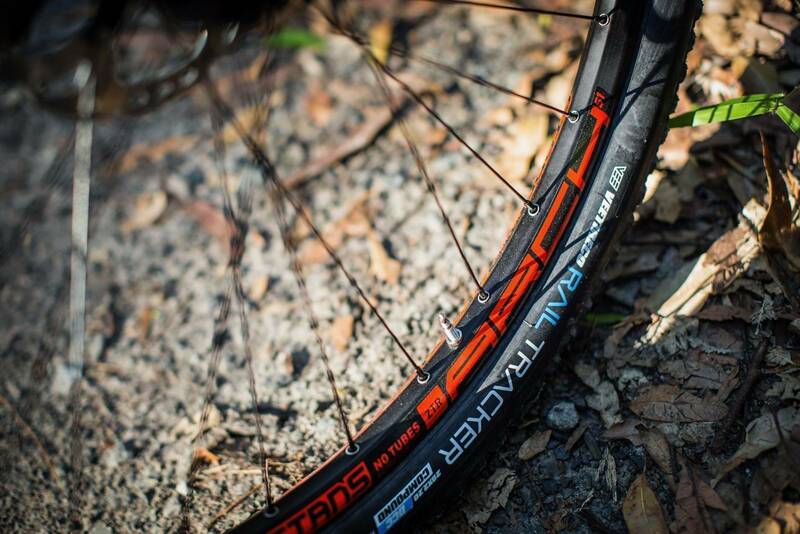 Stans Arch rims are laced onto SLX hubs, which allow for an easy conversion to tubeless. A good all round rim that can take some abuse without a penalty. The Vipa Trail is supplied with low profile VeeRubber 29x2.2 tyres though the clearance is there for something like a 2.4”. 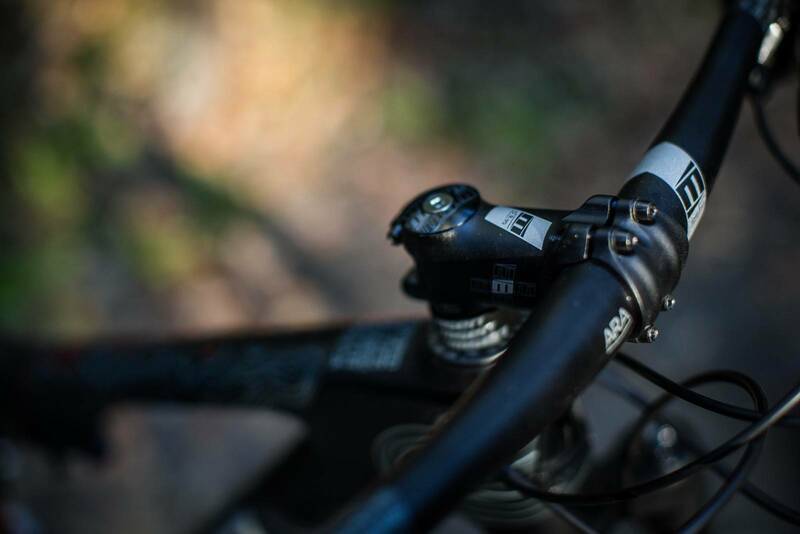 The KS Lev Si Integra seatpost is a new iteration of their tried and true cable actuated dropper that has a light lever action and reliable long term performance. 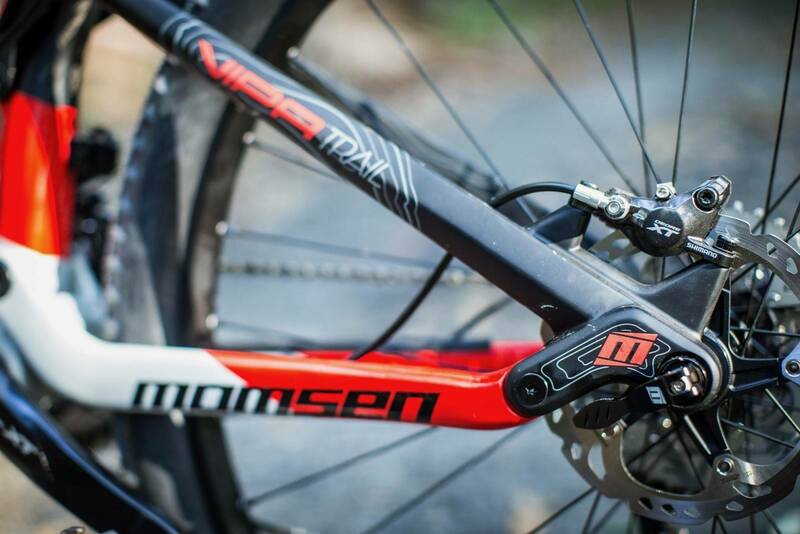 Momsen branded in-house aluminium handlebars are offer plenty of width with a funky sweep, that is a little different to most other offerings on the market right now. The saddle is also a basic in-house job. From the box the build leans more towards the XC end of the trail range with the double ring and low profile tyres while the geometry suggests that it should be quite a capable descender also, with a 67.8 degree head angle, 440mm rear stays and 1128mm wheelbase on our medium test bike. As mentioned with bigger tyres and 1x this bike could have a totally different personality. All said and done the Vipa Trail weighs in at 13.3kg including tubes and pedals which is on par with other bikes in this category and price point. Drop a few hundred grams by making it tubeless. 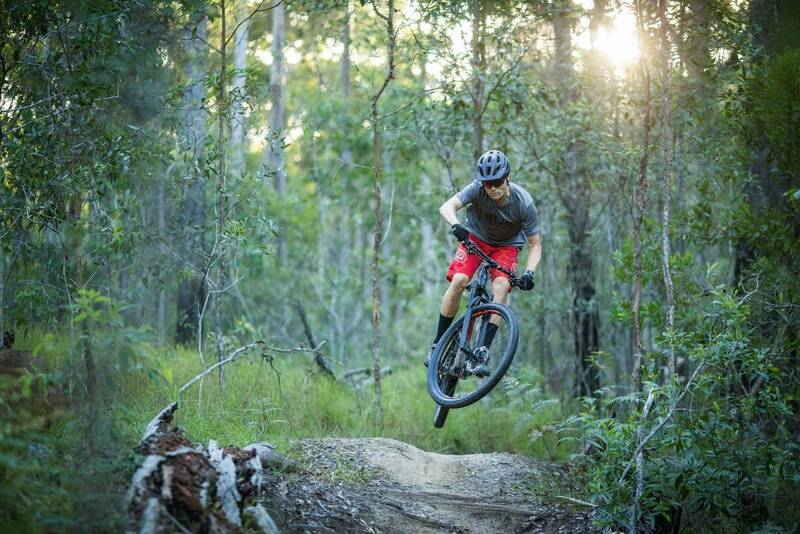 The Vipa Trail is engaging and lively on the trails. Its racing pedigree is clearly felt with instant acceleration when you put down the gas down, climbing in the saddle feels snappy and that was before realising that there is a lockout on the rear. Cruising through undulating terrain the Vipa Trail was totally in its element, ticking through the miles like an XC race bike with but with the a cheeky alter ego that wants you to push it into the rougher stuff. Taking the hint, I took the bike onto trails that got faster and steeper and the Vipa Trail started to show its full worth. 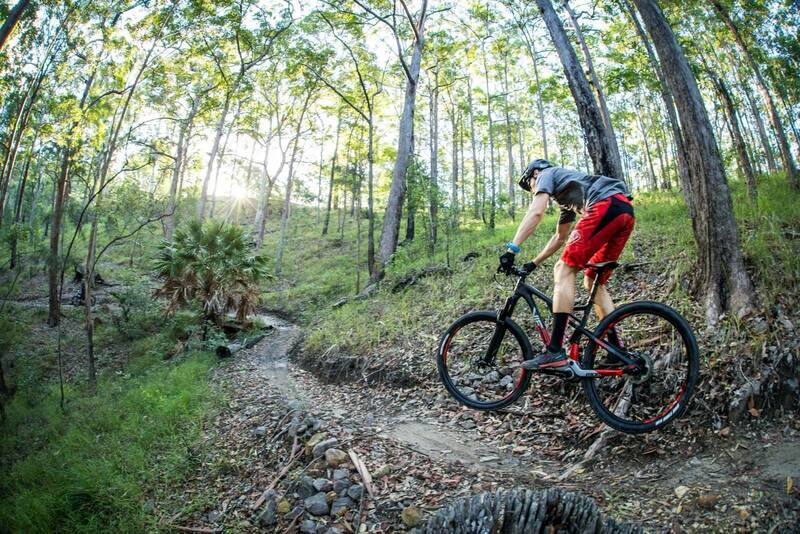 This is a bike that loves to rail corners and feels super stable at speed, this inspires confidence to go that bit harder and to start hitting gaps that you don’t feel should be done on a bike sporting only 120mm of travel. There are a whole lot of 120-130mm travel bikes out there, and they can vary from long-legged XC bikes to shorter travel, hard-hitting trail bikes. 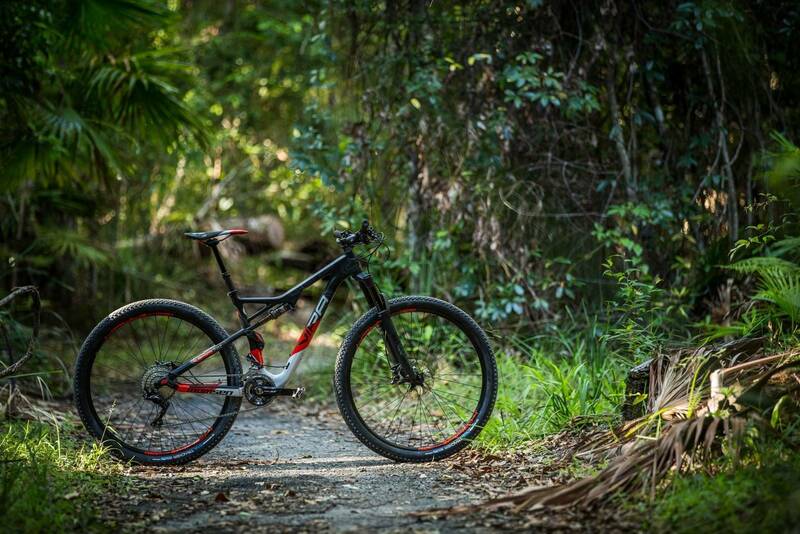 And the Vipa Trail seems to walk a line between the two, with the efficiency of an XC bike but stiff frame and handling of a bike that can be pushed, and pushed hard, with an experienced rider. 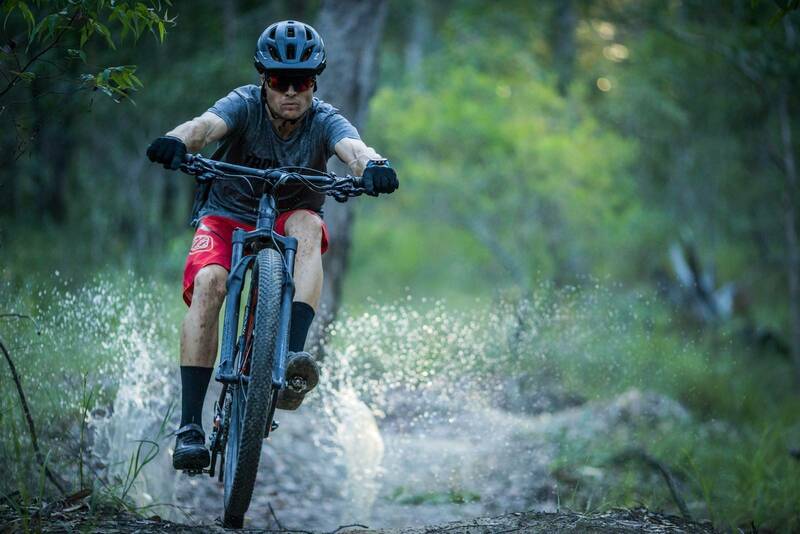 Dropping the seat and pushing into the gnar the Vipa Trail feels totally predictable, the whole package feeling direct and responsive even through some pretty heavy rock gardens. It doesn’t shy away from the task and ridden with confidence it allows you to hang it right out the back. Experienced riders with get a kick out of how hard this bike can be pushed. 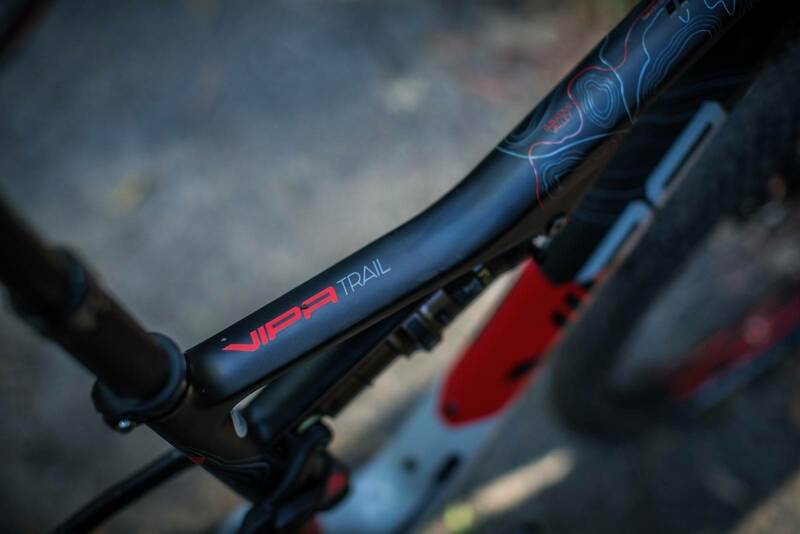 At the other end of this, someone after a bike for marathons, general mountain biking and multi-stage events might love the extra stability and confidence the Vipa Trail will provide compared to a full-on XC bike. Suspension choices are spot on and the front to back balance was excellent. The new RockShox Revelations with the larger stanchions and upgraded inernals feel amazing out on the trail - a real big step up from previous incarnations in terms of tuning but also how they use their travel. Fox EVOL coupled with the low leverage suspension design gave really good small bump compliancy and ramped up well without a harsh bottom out (which was tested on a few occasions). The double ring was a pleasant addition for the test with being able to drop it into the small ring and cruise the hills with little fuss. A godsend on fried legs. Throughout testing, all the descending and rough stuff I didn’t manage to drop the chain once which was the main concern of the setup. The low profile of the VeeRubber Rail Tracker roll super well eating up flowing trail though they did leave a little to be desired when the surface was looser or heavy braking was required. With frame clearance up to 29x2.4” add some bigger and more aggressive rubber and this bike can step it up another level again. Switching to tubeless would be a massive positive, to save weight and run lower pressures to increase traction and also add compliancy to the ride. 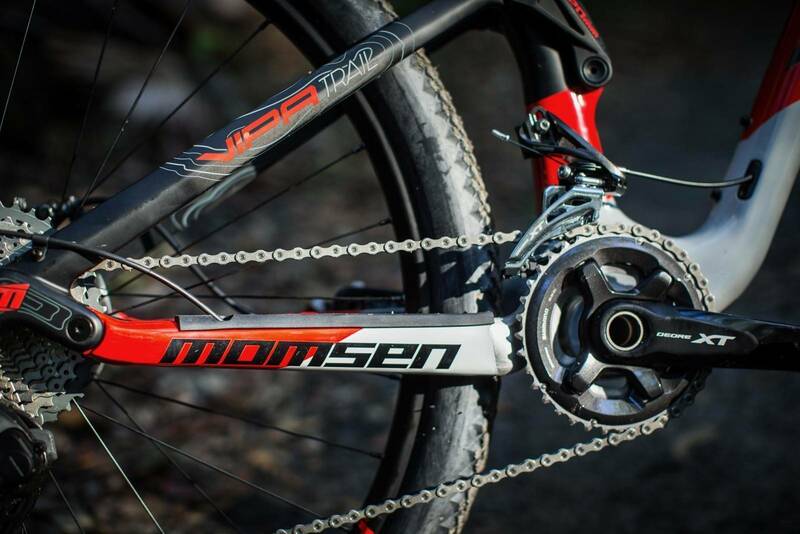 For those who want something a little different to the pack, the Momsen Vipa Trail is a bike that will go all day happily chewing through the trails. It is super efficient on the pedals and descends confidently straight from the box. 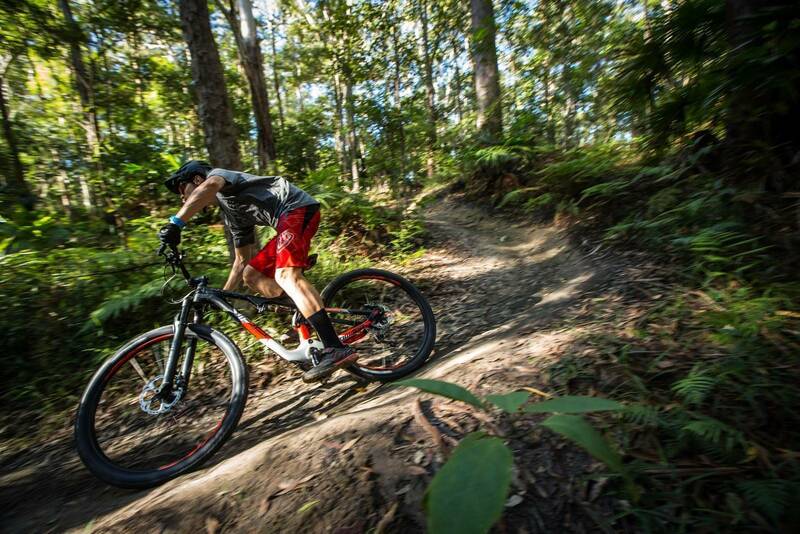 Pop on some bigger tyres and the Vipa Trail is bike that you would be in its element on the trails of Derby, Buller and Falls Creek chewing up bulk trail miles. Keep the setup lean and you'd happily line up on it at Cape to Cape or any endurance event around Australia.